Hashimoto’s Thyroiditis symptoms are often fairly vague and can be mistaken for some other condition. 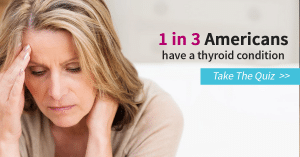 Symptoms also vary from person to person, so you may not experience all the same symptoms that another thyroid patient experiences.This is a list of many, but probably not all symptoms of Hashimoto’s Thyroiditis. If you find that you have several of these symptoms, you may want to ask your doctor for a blood test to check your TSH level and Thyroid antibodies.